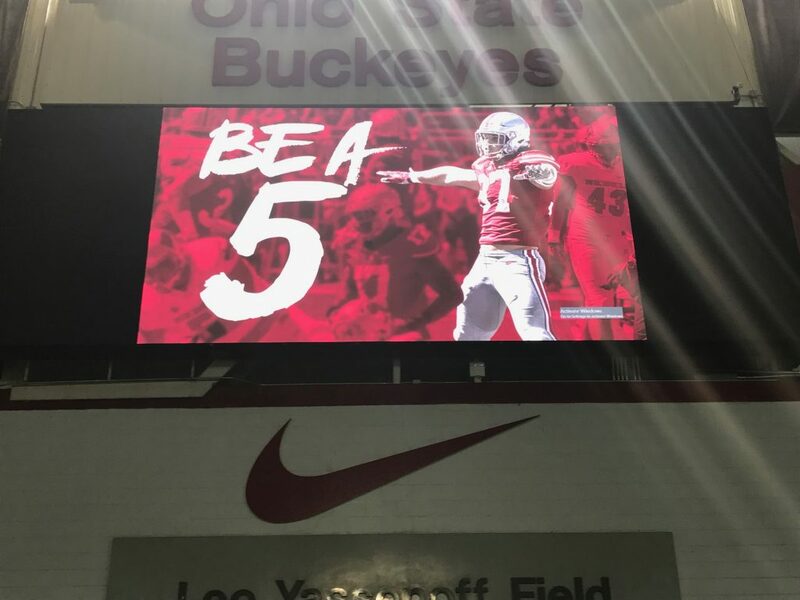 Schiano’s Rutgers return, J.T.’s new record, and “Be a 5”. Ohio State’s bus pulled up, and one by one, football coaches in suits walked off. Greg Schiano never slowed down or broke his stride. But as he walked toward the visitors locker room, he looked up and around the stands. 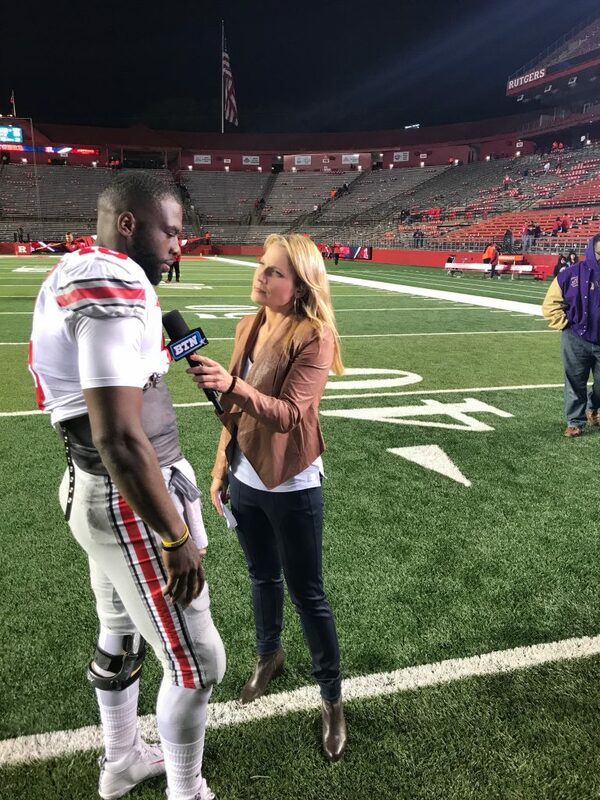 It was his first time being back to High Point Solution Stadium since he was the Rutgers head coach that saw eleven seasons, six bowls, a stadium that grew in stature, and the Empire State Building turned scarlet after a win over Louisville. Piscataway was doing some eyebrow-raising football things during the Schiano era. Schiano spent an hour Friday night at the team hotel with the man who hired him. Mulcahy came to the game Saturday night and wore red. He joked that would be the only color he could wear and no one could complain. Schiano was the last candidate Mulcahy interviewed, and it was obvious he had done his homework. One was an academic advisor, one was a strength coach, and one was an assistant athletic trainer. “It was obvious he knew how to build a program,” Mulcahy said. They agreed to a deal about a day and a half after that interview. No agents got involved. J.T. Barrett became Ohio State’s all-time leading passer Saturday. It’s just another one of the many records he can add to his resume. “It’s gonna be hard to say goodbye to him,” Meyer said in the postgame. Part of Barrett’s success has been learning how to block out the noise. “I figured that out back in the summer of 2014,” he told me. It was the summer after Barrett lost the starting job to Cardale Jones. It was the summer where Barrett learned to focus on what he could control. “If criticism is not coming from myself, or my coaches, or people l’m in the heat of the battle with, than I can’t listen to it,” he said. J.T. 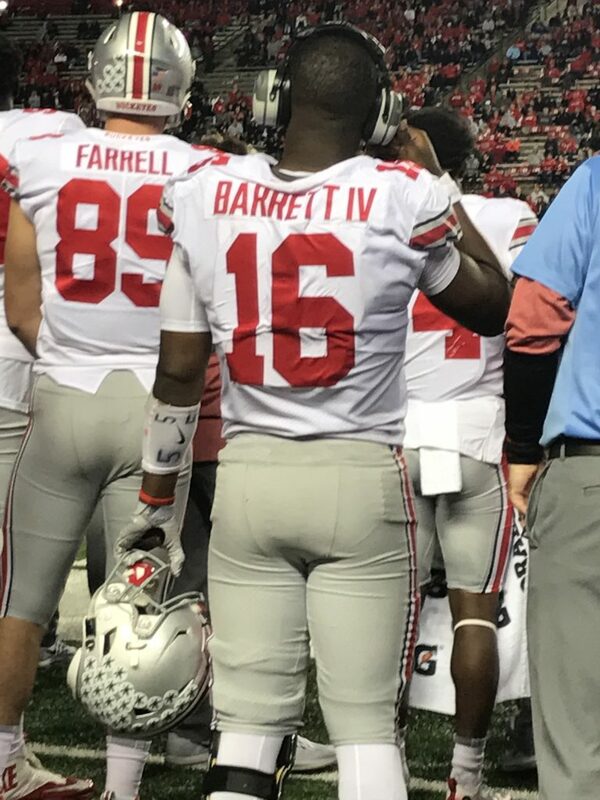 Barrett played Saturday with a “5” on his wristband. It was a symbol of being a fierce competitor, according to Urban Meyer, who explained the Buckeyes’ latest numbering system for players and coaches. The numbers next to the names of the players are posted in the meeting rooms. So accountability stares them in the face. 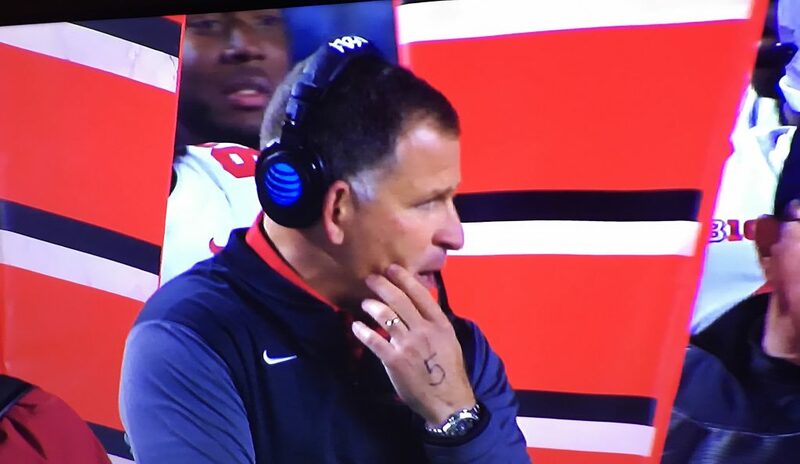 You could see the “5” written on Greg Schiano’s hand during Saturday’s game. “And who has a ‘5’ on the coaching staff?” I asked Meyer earlier in the week. Lisa Byington has worked for BTN, FOX, CBS, Turner, and ESPN. She earned her BSJ and MSJ from the Medill School of Journalism at Northwestern University. She also played four years of basketball and two years of soccer for the Wildcats.